Already drawing comparisons to artists like Billie Holiday, Alicia Keyes, and Jill Scott, Def Jam Recording artist Chrisette Michele seems poised to create a major name for herself. Having recently appeared on quality tracks by Jay-Z and Nas, Michele has a brilliant vocal style that recalls the days of jazz and blues, channeling everyone from Ella Fitzgerald to Erykah Badu. At once timeless and modern, her voice immediately stands out from the pack. 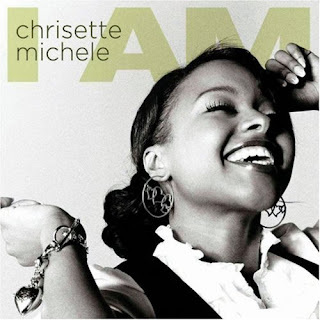 With I Am, her major label debut, Chrisette Michele has delivered a well-paced, polished product that announces her very individual style with confidence and strength. While I Am may lean heavy on the dramatic ballads it remains an impressive debut comparable to those of the aforementioned Keyes, Scott, and Badu. The thing that will grab you about Chrisette Michelle is her voice. It’s a signature instrument that is as versatile as Jill Scott’s yet nasal like the great Billie Holiday. On I Am’s best songs Michele injects a classic jazz sensibility into up-tempo hip-hop flavored productions. Tracks such as “Like A Dream” and “Good Girl” will instantly click with listeners yet they sound exciting and fresh. Michele’s impressive vocal range and hip-hop swagger mesh to create an astounding new pop flavor. Will.I.Am produces a few tracks and the collaboration is brilliant. Michele turns out to be the perfect muse for the Black Eye Peas’ frontman whose productions always seem to mesh big band, jazz, and hip-hop. His touch is undeniable on the album’s best track “Let’s Rock”, which perfects the jazz/hip-hop/pop sound. Imagine Fergie’s boastful lyrics with a vocal style that reflects Sarah Vaughn or Billie Holiday. The sound is instantly iconic. The slower songs don’t necessarily display the same stylized production as the more up-tempo work yet the quality remains consistent due to Michele’s strong songwriting and versatile voice. She gives you big voice R&B on “Work It Out”, intimate acoustic soul on “Your Joy”, and Broadway ballads such as “Love Is You”. 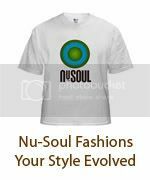 While all the songs are great, you will probably crave more of the faster tracks such as the Mary J. Blige influenced “In This For You” and the jazzy “Be Ok”. Regardless, Chrisette Michele is a major talent who has announced her arrival. I Am will most likely go down as a classic debut of a classy artist.